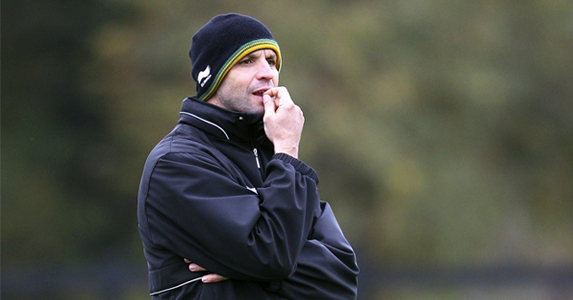 Director of rugby Jim Mallinder says that the Northampton Saints team is heading to France in a positive mood this weekend ahead of the Heineken Cup clash with Castres. The Saints head to the south of France lying third in Pool 1 after winning bonus points against Munster and the Scarlets. But while Mallinder acknowledged that it hadn’t been the best of starts for his team, there was plenty of desire among the players to stay in the hunt for a place in the knockout stages. “We were disappointed to lose our first two games in the Heineken Cup but it doesn’t stop our desire to win this game and the rest of the games,” he said. “We know we can still qualify. It’s still in our hands and we’re going to go to Castres very determined. A number of suspensions and injuries have meant that Mallinder has introduced several changes to the team which started at Welford Road last Saturday, but instead of being downbeat he said that it was a great opportunity for the players who are coming in to show what they can do.